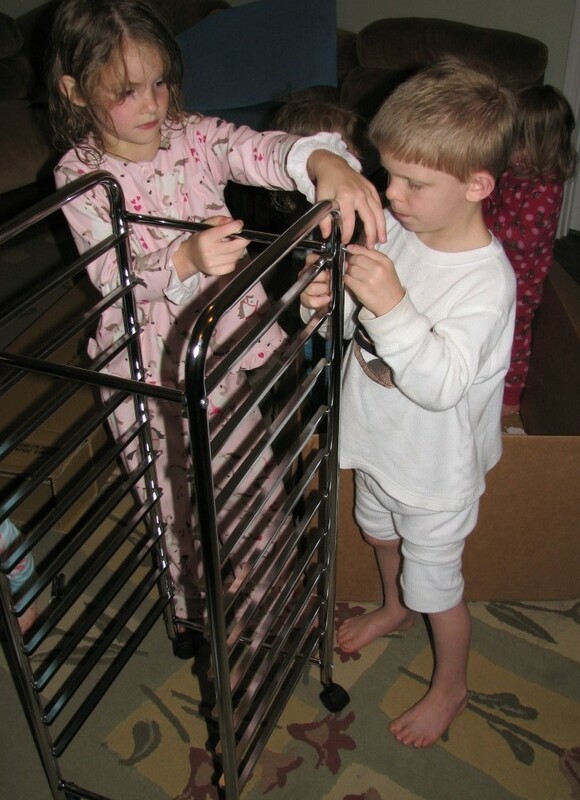 Lance got an excitingly big box in the mail yesterday – a birthday present from his Nana! 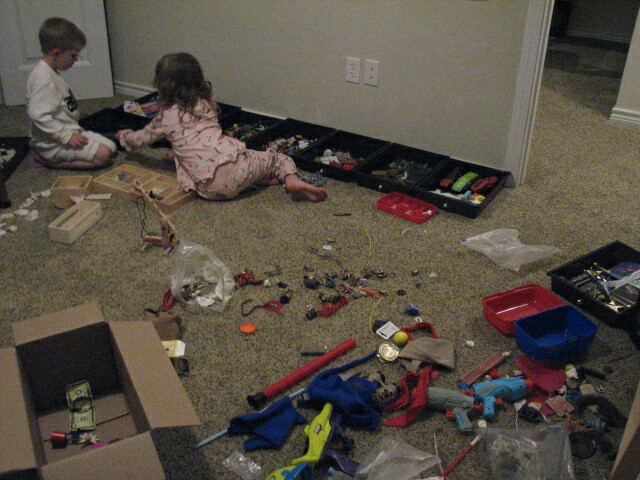 Some assembly was required but easily done with many assistants. 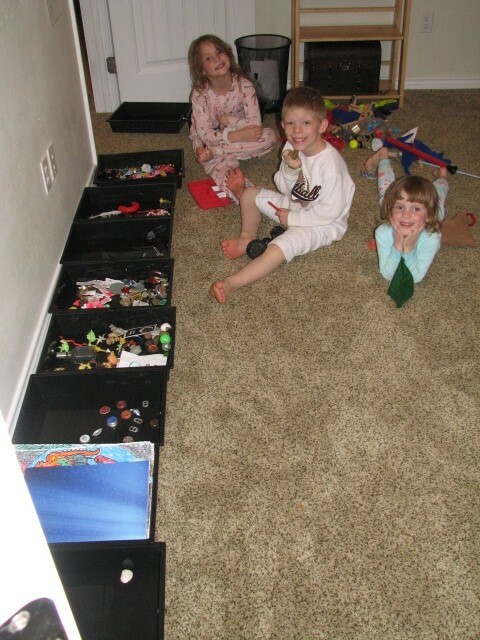 I described how this could be used to sort his collections…. 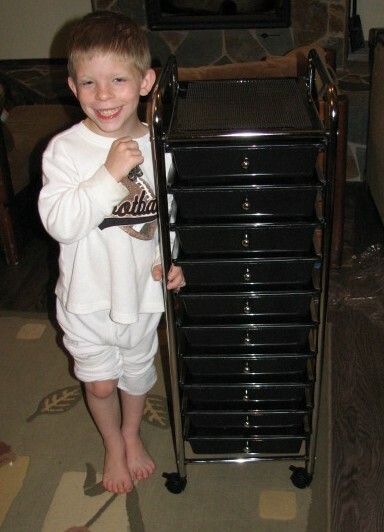 Didn’t know an 8 year old boy could be so excited about a set of drawers! 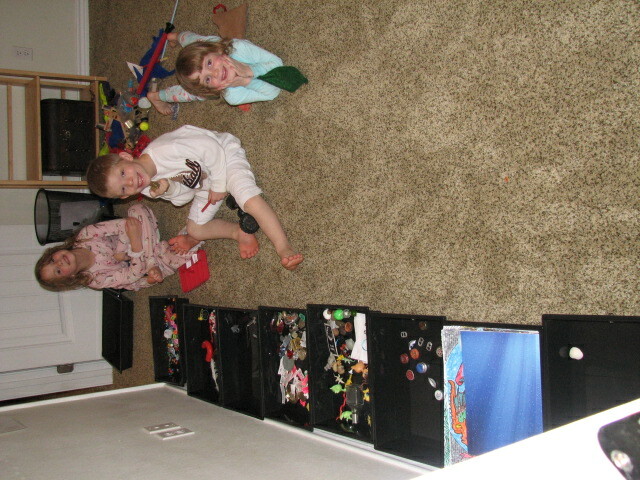 The oldest three got to stay up past bedtime to begin sorting through treasure. This is something that needed to be done very badly. We called a halt after an hour but I expect Lance to be happily occupied through the next few days of rainy weather. Thanks Nana! I love it! Uncle Dude needed one of those too. What a perfect gift! I love seeing the excitement on their faces!